The companies named in the lawsuit include manufacturers Allergan Plc, Endo International Plc, Johnson & Johnson, Purdue Pharma LP and Teva Pharmaceutical Industries Ltd, and distributors AmerisourceBergen Corp, Cardinal Health Inc. and McKesson Corp. In a statement, de Blasio noted that he feels the lawsuit is necessary because deaths from opioid overdoses have reached unbearable heights in recent years, and now occur more often than deaths from car crashes and homicides—combined. 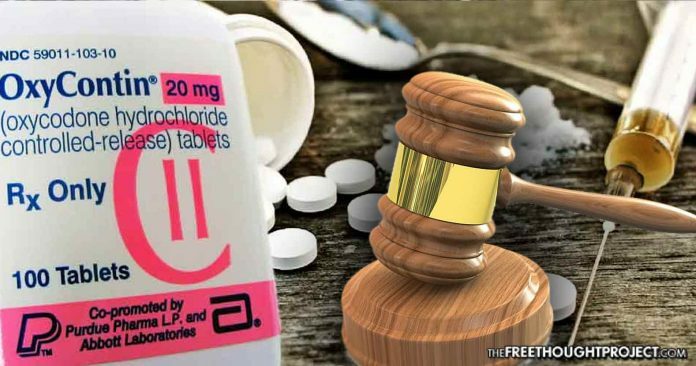 The lawsuit is accusing manufacturers of misleading consumers and hiding the dangers of highly addictive prescription opioids, and it is accusing distributors of oversupplying the drugs, ignoring suspicious orders, and helping illegal suppliers. As Reuters reported, more than 42,000 Americans died from opioid-induced overdoses in 2016, and more than 1,100 of those deaths occurred in New York City. In statements responding to The Hill’s request for comment on the lawsuit, Endo and Purdue Pharma denied the allegations, Janssen Pharmaceuticals called the claims “baseless and unsubstantiated,” AmerisourceBergen said it has been working closely with the DEA, and Allergan insisted that its products containing opioids were only responsible for 0.08% of the overdose deaths in 2016. “Teva is committed to the appropriate use of opioid medicines, and we recognize the critical public health issues impacting communities across the U.S. as a result of illegal drug use as well as the misuse and abuse of opioids that are available legally by prescription,” the company responded. “Drug companies marketed and sold too many prescription drugs to too many patients, they argue, without offering adequate and accurate information about their risks. As a result, thousands of users have become dependent, often turning to harder versions of those originally prescribed opioids. “This lawsuit is about justice, it’s about fairness, it’s about what is right. These drug companies knew that what they were saying was wrong and they did it anyway and they continue to do so,” DeWine said in a statement.